When it comes to copier or office printer leasing, Clear Choice Technical Services is a smart choice. We give you access to the latest equipment while giving you the freedom to let your capital grow into other areas of your business. Get in touch with us today, and we’ll gladly give you a FREE quote. It’s true that you have many companies to choose from. But you’ll never find the same exceptional customer service that only Clear Choice Technical Services can provide. Aside from offering the lowest rates possible, our lease contract agreements already include repair, replacement, and maintenance for all major parts that naturally break over time. In that way, we help you save on your expenses for the upfront cost and possible machine mishaps in the future. When you need us, we’ll be there. We have over 3,500 well-trained technicians in our team, and they are ready to do on-site repair services all throughout North America. Our labor fee is already included in the service fee that you pay every month so no need to worry about spending more! Clear Choice Technical Services is known for our exceptional and convenient services. 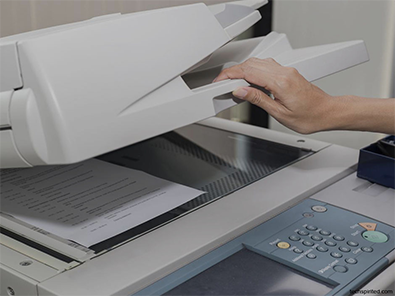 All you need to do is give us a list of the copier features that you need, and we’ll scout the best machine for you. If you already have one in mind, we’ll have it available as soon as possible. You can get a more detailed description of each brand and their models from our product specialists. We are an authorized dealer of copiers, copier parts and copier supplies all across the country. We are recommended by top brands like Toshiba, Canon, and Kyocera because we meet their high customer and product standards. Some of the products that we provide are copy paper, toners, and ink. At Clear Choice Technical Service, we always give you what you pay for. From the products to our services – expect nothing but the best. To get in touch with us today, call 866-620-2287. Our customer service representatives can give you more details about our product contract agreements and prices. Our equipment rental plans give your office the opportunity to spread out your capital for other important investments. Plus, providing FREE repair and maintenance as part of our contract agreements gets rid of the worry that you’ll be spending more in the future. What more can you ask for? With our plotter repair services, you can get your vector graphics always printed on schedule. Our skilled technicians are guaranteed to provide a fast on-site response to prevent prolonged downtime in your business. Where else but at Clear Choice Technical Services. We have a wide array of large format printers from various elite brands in the world. You can check out what’s readily available today by calling 866-620-2287. Don’t worry if you have a different model in mind; we can quickly place a direct order for you. These brands are respected in the industry for their quality and durability. You can get more information from our website, or you can start a live chat with one of our agents. We strive to provide everything that you may need for your copiers or printers. By doing so, we help you save time and money. While we take care of your machines and other office supplies, we give you more time to work on other things for your business. 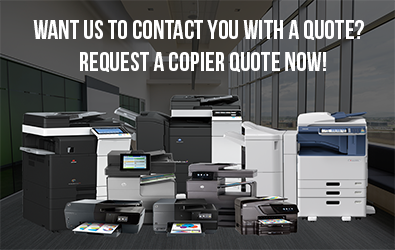 Call us now at 866-620-2287 and don’t miss out on your chance to get the best copier and printer deals available in the market!